When NVIDIA launched the GeForce GTX 550 Ti, it was significantly less powerful than the GeForce GTX 560 Ti. So it was obvious that NVIDIA would eventually slot a new graphics card in between the GeForce GTX 560 Ti and the GeForce GTX 550 Ti. That day has arrived, and that graphics card is unsurprisingly named the NVIDIA GeForce GTX 560. 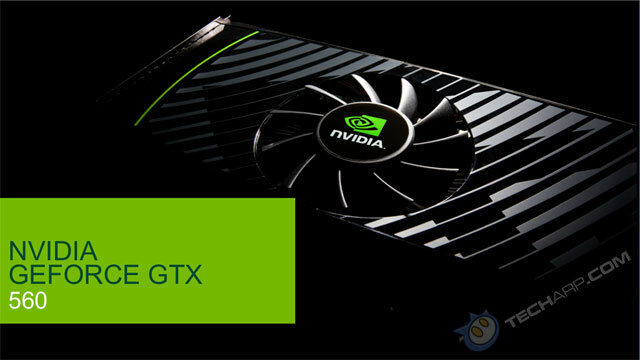 For those who love pet names, the new NVIDIA GeForce GTX 560 will be a "Hunter-class" graphics card slotted at the US$ 199 price point. If you have no idea what the heck we are talking about, take a quick look at our NVIDIA GeForce GTS 450 Tech Report. It was at the GeForce GTS 450 launch when NVIDIA started their rather bizarre scheme of giving their graphics cards pet names. The GeForce GTX 480 was "The Tank", while the GeForce GTX 460 was "The Hunter" and the GeForce GTS 450, "The Sniper". 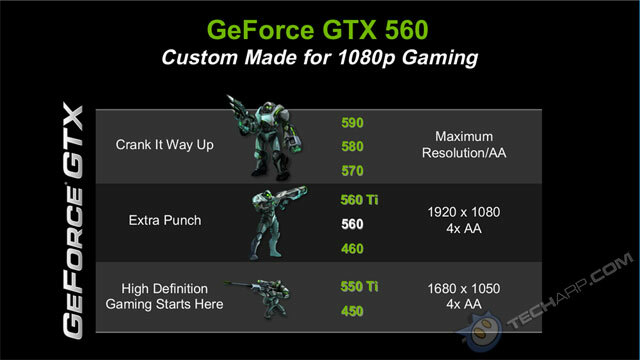 As you can see from this slide, the NVIDIA GeForce GTX 560 is a mid-ranged "Hunter-class" graphics card, placed squarely between the GeForce GTX 560 Ti and the older GeForce GTX 460. Note that it is based on the GF114, the same GPU as the GeForce GTX 560 Ti. 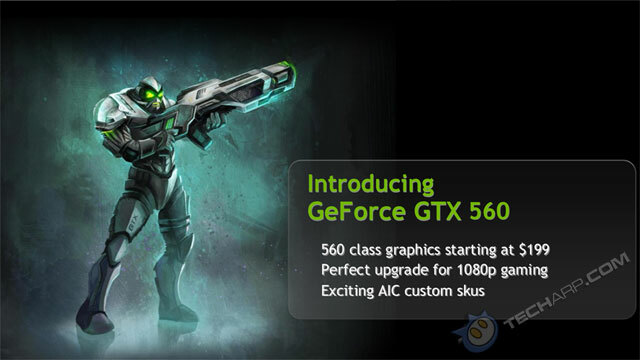 However, one of the SM units has been disabled and the GeForce GTX 560 will have slightly lower clock speeds. At the price point of US$ 199, the GeForce GTX 560 is smack in between the GeForce GTX 560 Ti and GeForce GTX 550 Ti's price points. That makes it a much better deal than the cheaper but much slower GeForce GTX 550 Ti. Let's take a look at its performance. • How Fast Is It?